LION’S and BRYAN’S and FREE BRAKES - OH MY!!!! There is “No Place Like Home” to give back to the community. 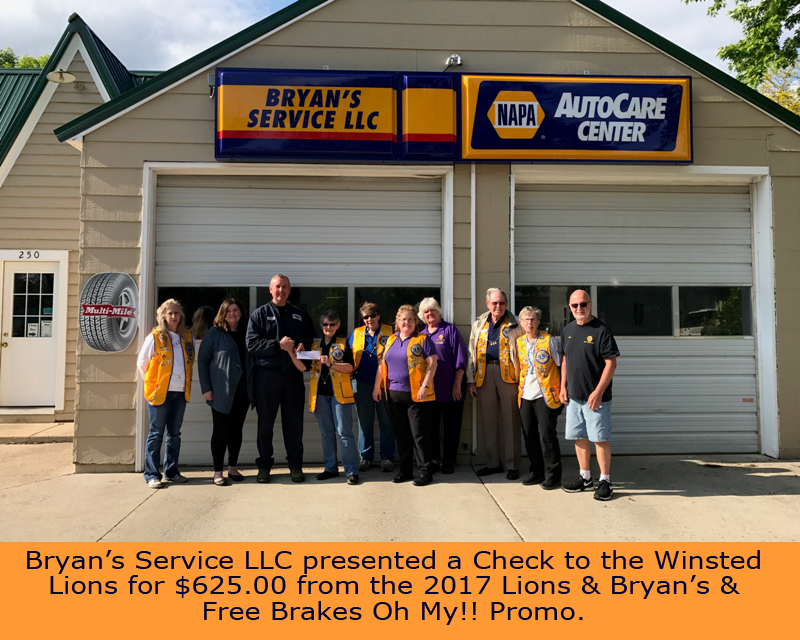 That is why Bryan’s Service LLC in cooperation with Winsted NAPA team-up with the Local Lion’s Club to raise money for all of their worthy projects. No a House has not dropped on our head! BRAKE PADS AND/OR SHOES for your vehicle absolutely FREE!!! You read that correctly Bryan’s Service LLC offers YOU a FREE set of premium brake pads and/or shoes with any brake service repair, during one designated month each year. Additional charges will apply for installation, resurfacing rotors or drums or any additional parts needed to complete the brake job safely. PLUS as Bryan's Service LLC have done for the Fourth straight year……. Bryan's will be DONATING 10% of all brake sales to the WINSTED LIONS to help with their programs that support the local Winsted community. 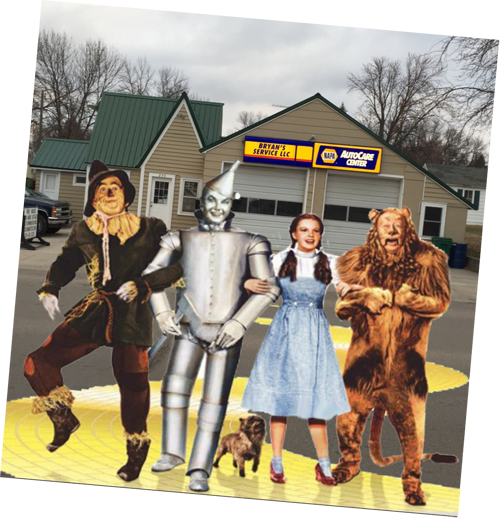 So if your brakes squeak like the TIN MAN follow the YELLOW BRICK ROAD (OK Main Ave) to Bryan’s Service and let the WIZARDS there help keep your MUNCHKINS safe. Use your BRAIN, have a HEART and the COURAGE to HELP your Community. You DO NOT have to be a member of the LIONS to take advantage of this special. So jump on your BROOM or FLYING MONKEY and get to Bryan’s Service during the designated month to take advantage of this great offer!